They’re a lovely keepsake gift and practical too! With our mugs, you have a choice of styles of design. Depending on your school and fundraising ideas, you can create something to suit your event or theme. 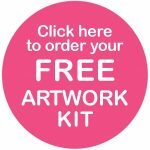 Our artwork kit has the templates and information that you need to get started with your mug project. When all the designs are complete, we even include a freepost return label to send your designs back to us. 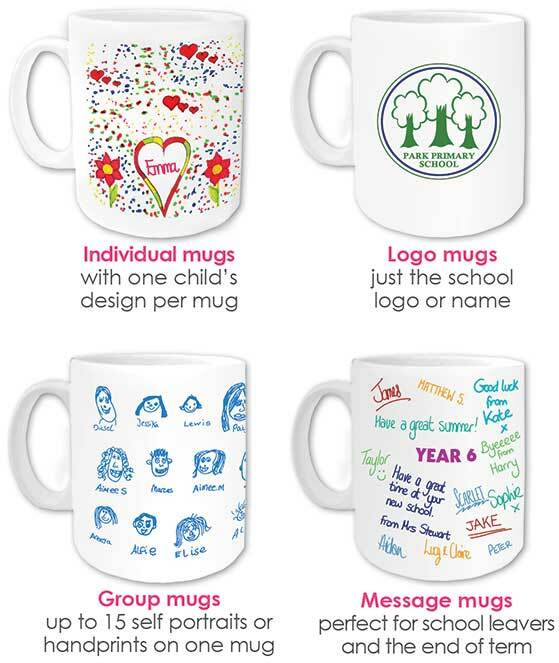 For school leavers, a message mug is the ideal way for the whole class to contribute and make a design together. The design is then professionally printed onto mugs which they can keep for years to come. The most popular mug style is individual designs. Each child draws on their own template – you can set a theme for them or you can let their imagination run wild! When creating individual mugs, you can suggest drawing a design for lots of occasions. It could be anything from a birthday mug to an Easter mug! For larger events, like summer fairs, some schools run a competition and select a winning design from each class or year. These winning designs are then printed onto mugs and sold for fundraising. If you have a different idea, just ask! We’re here to answer your questions and to help with your school fundraising project.